Deliver fresh and relevant content by recognized and emerging experts to your teachers. Give your teachers the flexibility to conveniently access courses available online 24/7, year round. Allow teachers to choose the courses that best fit their unique needs. Your administrative team can quickly view teacher progress, responses, test scores, and completion certificates. Dr. Webb is a leading authority in social and emotional needs of gifted students. of gifted education in the U.S! year after year since 2010. “The course about Young Gifted was excellent. I showed to ALL teachers – K-12 because the information about the different types of GT was so powerful at all levels and it reinforced with all my GT teachers WHY our district strongly believes we need to identify early. Can be done at own time, own pace, choice of location. Can start and stop as many times as you need to complete it. Has built-in reflection and testing so participants can think about, share, read others’ sharings and review what they missed. 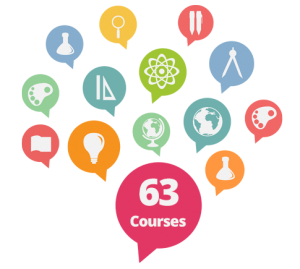 Over 60 courses for GT educators include 1, 3, and 6 hour courses, so you can customize your professional learning plan based on your preferences. Get the basics on gifted learners or access complex subjects such as working with twice exceptional students or low SES backgrounds. Unlike face-to-face or live webinars, GT Ignite courses can be started anytime, anywhere. Give teachers a better way to manage and prioritize their time with 24/7 access to every expert – without pulling teachers away from home.Work and personal life are enough of a juggling act, GT Ignite means your teachers have one less ball to juggle. Courses are chunked into 40-60 minute segments, and can be paused and restarted without losing your place – so teachers don’t feel like you’re giving them to drink from a fire hose. 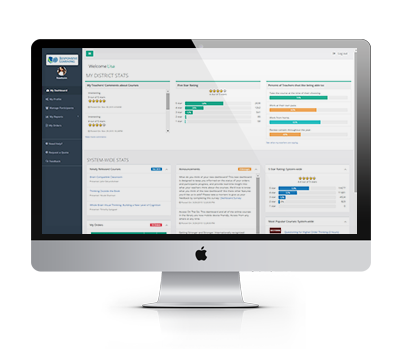 Review test responses, test scores, and completion certificates all from a single location. Learn what teachers have to say about courses they’ve completed and discover the most most popular courses across United States. Search for data at the district, campus, or teacher level to show the real-time effectiveness and impact of your training dollars. Watch the video on the right to see the dashboard in action. We manage all the technical support – There’s no need to involve your I.T. Department. GT Ignite manages the entire system for you. Get stuck and need support? 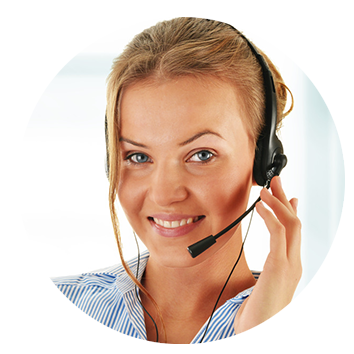 We have live phone and email support during regular work hours. You can send any questions you have about the trial to askus@gtignite.com or call (915) 532-9965. Budgets can limit which expert to fly in and which teachers you can send to GT conferences – bring the experts to you instead! WHAT DOES THE TRIAL LOOK LIKE? Access to the library of 1-hour courses during a 30 day trial period. Your teachers can experience the quality of the courses, the flexibility of when to take the courses, and select the courses that are more targeted to their unique needs. You can determine how well this fits in your professional development program, without risk. WHY IS IT FREE FOR 30 DAYS? We realize that you might be hesitant about online professional development for gifted teachers. You may have already tried one form of online training and as a result dismissed all of it. You don’t need to tie up your funds to run an experiment that might not fit your needs. Take all the risk away and get real, unbiased feedback from your teachers. We know you and your teachers will have such an incredible experience that you’ll never look at online professional development the same way. Fill out the web form application (located above) in its entirety. You’ll receive an email confirming that your request was submitted. Shortly after filling the form, you’ll receive an email requesting a Start Date for your 30 day trial.Once you choose your Start Date, our support team will provide you with a registration code and instructions on how to enroll your teachers, so they can begin taking courses.